A 14-year-old Myanmar refugee helped rescue teams co-ordinate their daring operation by communicating in English with the British divers who became an integral part of the mission. Adul Sam-on was able to speak on behalf of his soccer team as the expert diving team prepared to extract them from the terrifying underwater cave network. Despite being a refugee with limited education, he speaks an astonishing five languages. 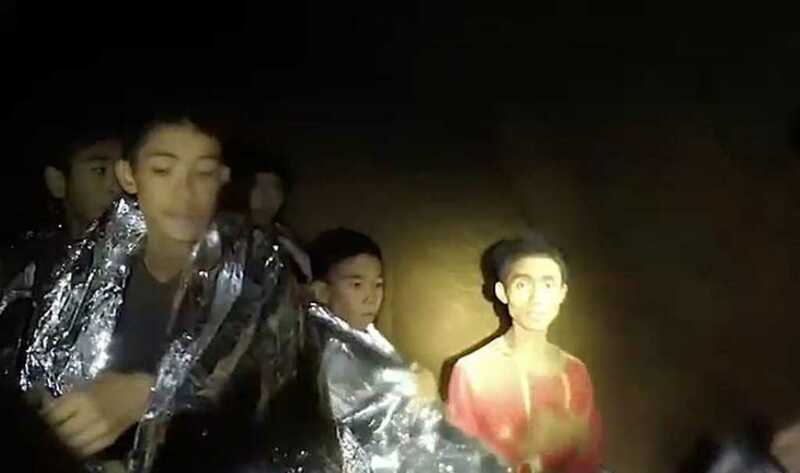 “I’m Adul, I’m in good health,” the boy could be heard saying in one of the first videos to emerge of the team trapped within a tiny chamber of the flooded Tham Luang caves in Northern Thailand. Sam-on, who was one of the 12 boys rescued by an expert team of cave divers and rescue workers, became an integral part of the operation, ensuring vital instructions were relayed from the divers to the rest of his teammates as they readied themselves for their treacherous journey. “The first thing that comes to mind when I talk about him is his nice manner. He gives a ‘wai’ [traditional Thai] gesture to every teacher he walks past, every time,” said his teacher, Phannee Tiyaprom. Adul, who speaks Chinese, Burmese, Wa, and Thai, left his parents in Myanmar in order to seek after a better education in Thailand – he was taken in and cared for by a local Thai Baptist Church in the border town of Mae Sai. According to the New York Times, three of the trapped soccer players, as well as their coach, Ekkapol Chantawong, are stateless ethnic minorities, often drifting back and forth across the Thai-Myanmar border. All 12 soccer players are currently being cared for in hospital and, judging by the newly-released footage below, they seem to be in good spirits! Myanmar (formerly Burma) is in the midst of one of the cruelest genocides in recent history as Burmese government officials carry out mass annihilation of Rohingya Muslims. Not only have they been trying to eradicate the country of the Rohingya, but new reports suggest a Burmese military-led “secret cleanse” of Christian Kachin people, a minority group in Myanmar. But it has only recently been discovered that the Burmese military is also targeting Christians in the country. According to the latest investigative report released by Sky News, locals call it the “second genocidal campaign” in Myanmar, as the genocide sweeps the country’s remote Kachin state. The reason the mass slaughter has been hidden for so long is partially due to the fact that Myanmar does not allow journalists or aid groups to travel to the Buddhist-majority country. Now, the world is beginning to see why.